… the share of people over the age of 55 who are in the labor force has pretty steadily risen. Put that together with population aging, and the Bureau of Labor Statistics says that the share of the workforce that’s composed of people over 55 should steadily rise over time. I’ll add another two variables to this mix: the sluggish growth of the U.S. labor force overall, and continued growth of a young Latino workforce. It’s remarkable how many companies still don’t understand this simple equation. This entry was posted in General and tagged demographics, Hispanic, labor, Latino, Talent, workforce on January 27, 2014 by coronino. I’m a big fan of the Immigrant Archive Project. I browse their videos whenever I need an injection of inspiration. Below is a video which captures a whole lot of inspiration in a short amount of time. Enjoy! This entry was posted in General and tagged Hispanics, Latinos, Success on January 23, 2014 by coronino. CTI research finds that multicultural professionals, like their Caucasian counterparts, prioritize gravitas over communication, and communication over appearance. Yet, “cracking the code” of executive presence presents unique challenges for multicultural professionals because standards of appropriate behavior, speech, and attire demand they suppress or sacrifice aspects of their cultural identity in order to conform. Additional results of the CTI study can be found here. This entry was posted in General and tagged corporations, Diversity, Hispanics, Latino, professionals on January 22, 2014 by coronino. The impact of Latino entrepreneur ship can be found in the most unique places. Take Ottumwa, Iowa for instance. Located in southeastern Iowa, the town is home to about 25,000 residents. Like many Midwest towns, it has experienced a population decrease over the last few decades. As a result, Ottumwa has its share of vacant 1960s-era Main Street buildings. While this town has seen a decrease in its overall population, Latino residents are on the rise. Along with this increase, there’s been a revitalization along Main Street. Many of the vacant buildings are now home to new businesses started by Latino entrepreneurs. Latino entrepreneurship in these areas is a national trend. Much of the credit can be given to people like Himar Hernandez, who works with small Latino businesses in the area. Watch the video below and see how Latino small businesses are breathing new life into old towns. This entry was posted in General and tagged entrepreneurs, Hispanic, Latino, small business, workforce on January 22, 2014 by coronino. It doesn’t matter to me – so I fall in the norm I guess. I use both terms interchangeably. A new study by NPR shows Latinos or (Hispanics!) are split. NPR surveyed almost 1,500 randomly selected people to ask whether they would choose to describe themselves as Hispanic or Latino. We found a very slight preference for Hispanic, but not a terribly significant one. This entry was posted in General and tagged Hispanic, Latino, tends on January 21, 2014 by coronino. The Latino talent “pipeline” begins with education. And as more Latinos enter colleges and universities, many in higher education still aren’t ready to manage the growth of Latinos on their campuses, including how to graduate them in higher numbers. Using data from the U.S. Census Bureau, The Chronicle examined by state and county the population from age 18, or zero years from traditional college age, down to age 4, or 14 years away. Younger age groups are strikingly smaller in New England, as in Rockingham County, N.H., where 18-year-olds number almost 4,500 and 4-year-olds just 2,600, a difference of more than 40 percent. With fewer young white children in almost every state, many counties’ younger age groups would be vastly smaller if not for much larger numbers of Hispanic children. This entry was posted in General and tagged college, education, Hispanic, Latino, Talent on January 21, 2014 by coronino. It’s all about advertising dollars – and one of the reasons DirectTV has also bumped up it’s Spanish language offerings. Yes, some media outlets are going in the opposite direction. 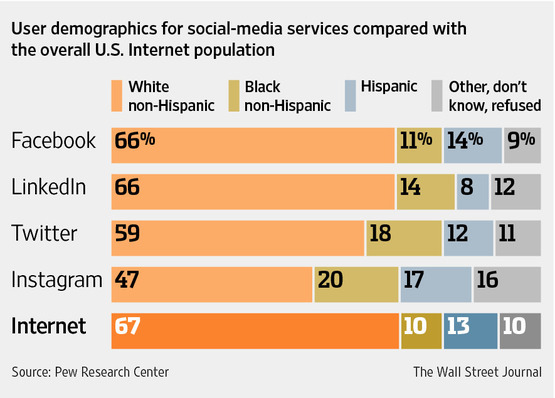 NBCLatino went idle a few weeks ago to the dismay of many on Latino social media channels. This entry was posted in General and tagged Advertising, Hispanics, Latinos on January 21, 2014 by coronino. It’s hard to imagine other Supreme Court justices being as open about their lives as Sonia Sotomayor. In this interview via NPR, Justice Sotomayor discusses how her alcoholic father drank himself to death. She mentions how a close cousin ended up committing suicide as a result of years of drugs. 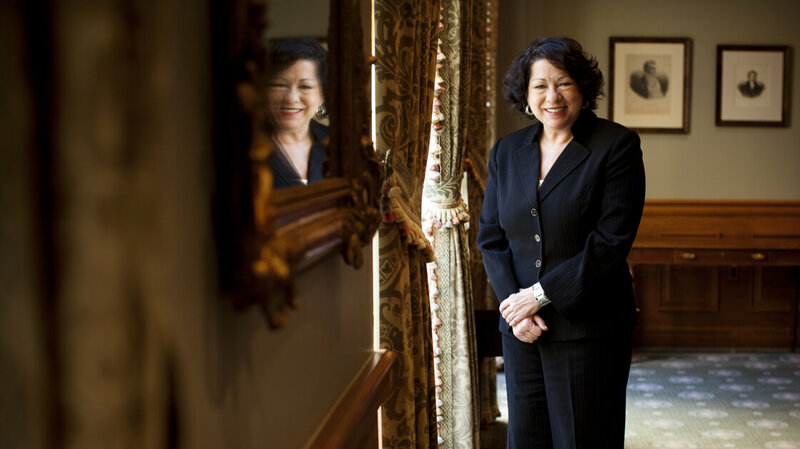 Sotomayor discusses how she grew up poor, being raised by a single mother, and how through persistence and hard work, she ultimately became the first Latina to be appointed to the Supreme Court of the United States. Frankly, this upbringing is commonplace amongst our community. It’s unfortunate. While many might use this as an excuse, she used her experiences as a motivation to rise above the circumstances of her life. This entry was posted in General and tagged Hispanic, Latino, leadership, Talent on January 13, 2014 by coronino. Today I came across the work of Vikki Katz (Ph.D., University of Southern California) an Assistant Professor in the Communication Department of the Rutgers University School of Communication and Information. Her research in the area of communication challenges faced by Latino immigrant families is fascinating. In the video below, Dr. Katz discusses how children of Latino immigrants access the Internet as well as digital media. A lot of her research also focuses on the concept of “brokering” which describes the process of how Latino children often have to facilitate the communication process for their parents – not as translators but as doers. I can certainly relate to this concept. Enjoy. This entry was posted in General and tagged Hispanic, Latino, social media, technology on January 9, 2014 by coronino. Michael Staton writes that the value of a college degree (the actual diploma) will lose much of its value in the coming years. Due to the onset of technology, certifications, and online learning, he sees an unbundling of higher education. The value of paper degrees will inevitably decline when employers or other evaluators avail themselves of more efficient and holistic ways for applicants to demonstrate aptitude and skill. Evaluative information like work samples, personal representations, peer and manager reviews, shared content, and scores and badges are creating new signals of aptitude and different types of credentials. For my experience as a nontraditional student, recruitment manager, and an instructor, I can appreciate his point. As a college student, I arrived to the classroom with almost seven years of work experience. While I didn’t have any certifications or badges, I did arrive with many of the competencies usually developed over four years of college. My academic credentials were spotty at that point, but my ability to understand real world concepts was far beyond that of my peers who had just entered college. Once I graduated with my four year degree, I was at a decided advantage when it came to soft skills — work ethic, office politics, and time management. One of the best compliments I received was from a manager at my first “real job” who thought I had been with the organization for many years. He was shocked when he learned I was there only a few months. I see the same situation and many of the same types of students in my classrooms, particularly those in the military. Given their experiences and backgrounds, military students are able to grasp leadership concepts much faster than those that have minimal work experience. This entry was posted in General and tagged Career planning, Disruptive innovation, education, Hispanic, Latino on January 9, 2014 by coronino.